With a view to ensure increased rate of voters’ turnout in the three LACs of Sivasagar election district, the district election officer (DEO) and deputy commissioner S Lakshmanan came up with an innovative initiative, namely “1 to 11” under SVEEP (Systematic Voters’ Education and Electoral Participation). The three legislative Assembly constituencies are 103 Amguri, 107 Thowra and 108 Sivasagar under 12 Jorhat HPC. The DEO launched the initiative recently at the Sukafa Conference Hall of DC’s office in Sivasagar. Under this initiative, the DEO distributed publicity materials to the principals of 18 high schools and higher secondary schools selected from the three LACs of the election district. 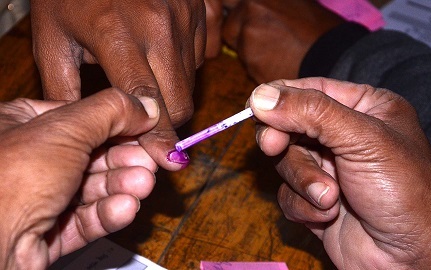 The students of class IX to XII from these 18 schools will function like “Ambassadors of Democracy” and will bring at least 10 voters from their village, neighborhood and area to their respective polling station, thus participating in ensuring larger voters’ turnout, said a press communique. During the meeting, the DEO also released a short video prepared on the initiative to create voters’ awareness. While releasing the video, the DEO expressed hope that this initiative will not only create awareness amongst the voters for participating in the electoral process, but will also makes the student well-informed and aware. The meeting was also attended by the election officer Jagdish Brahma, district nodal officer of SVEEP Protim Sharma and inspector of schools Abdul Jelil, it added.